世界華人工商婦女企管協會，由柯杜瑞琴創會總會長創立於 1994 年，歷經歷任總會長的努力、 奉獻、傳承，至今已邁進第 25 年了，淑瑛自 2016 年接任第九屆【世華】總會長，任期二年，秉承 【世華】宗旨─【心懷世界、掌握脈動、建立網路、發展経貿】，帶領全球【世華】姐妹，凝聚資源，提升華商婦女競爭力，打入主流社會，為國家作國民外交，提升華商婦女社會地位! 【謙卑學習、感恩奉獻、經貿交流、宏觀視野】，是我任內一直秉持的理念和信條，也是我一 直遵循的處事原則，二年任期，看到全球【世華】分會姐妹們，努力経營、向下紮根、活動精彩多 元、愛心公益不落人後，全球發光發亮，讓【世華】被肯定與重視，可喜可賀，尤其去年八月休士 頓哈維世紀大水災及今年花蓮大地震，讓【世華】大愛全球飄掦，及時捐款作愛心關懐，讓【世 華】大愛被看見，更讓台灣愛被世界看見，另人感動!也帶領海外歸國團隊(華冠得主)及核心龫部作 二天中央部會的拜會活動，深入了解國家政府及表現【世華】的優質!任內也馬不停蹄的成立了 12 個 新分會，有馬來西亞的吉隆坡分會、新山分會、檳城分會、日本關西分會、柬埔寨金邊分會、加拿 大蒙特婁分會、美國的大紐約分會、紐澤西分會(復會)、巴爾地摩分會、亞特蘭大分會、台灣的基隆 分會及奧地利的維也納分會，現在【世華】全球已有 65 個分會,遍佈世界三大洋五大洲! 時光飛逝,二年總會長任期讓我世界跑透透，結識了世界各地的好姐妹，歷經了人生難忘的歷鍊 與經驗，感謝第九屆團隊，執行團隊鼎力相助及支持；感謝全球各分會姐妹們的團結努力；更感謝 前總會長們的指導與跟隨，讓第九屆團隊在 2018 年的光輝十月，劃下美好的句點與回憶，也和第十屆團隊作最完美無縫的傳承! 接下來接棒的第十屆總會長劉琍綺，是知名企業安勤科技股份有限公司的董事長，家庭幸福美 滿、熱心公益，是一位才德兼備的優質女企業家，和我都是第三屆華冠得主，也擔任了兩屆【世 華】的副總會長及華冠奬聯誼會會長，以她在世華的經歷是一位優秀的領導者，期盼全球【世華】 姐妹，都成為第十屆總會長劉琍綺的後盾，繼續厚實【世華】根基，共同營造屬於【世華】姐妹美 麗的園地，薪火傳承，再創高峰! 最後謹祝福【世華】會務昌隆，全球【世華】姐妹、身體健康、幸福美滿、青春有活力，散播 愛與熱情，【世華】因為有妳而不凡,共勉之! Vice President of Allied Hospitality Inc., U.S.A. Celebrating its 25th annual event, Global Federation of Chinese Business Woman is a wonderful organization that gathers all Chinese businesswomen together. 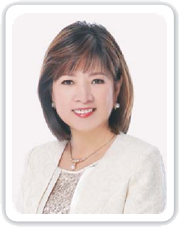 Since established in 1994, founding president Jui-Chin Ko Tu along with all previous 8 chairwomen have inputted their undisputed hard work and sacrifice in creating this great federation. Since taking over the chairwoman role in 2016, Shu-Ying has led this big family following the main goal of GFCBW, that is to bridge all Chinese businesswomen in the world and continue to make this world a better place with more economic network establishment. In gathering resources together, GFCBW can then enhance the competitiveness of Chinese businesswomen while entering the mainstream society and boost the social status of Chinese businesswomen! “Learn with a vision in mind and continue to give back to the world” is a quote that I have been trying to advocate in my whole life. In my 2 years as the running chairwoman, I witnessed all our GFCBW sisters worked really hard and showed love and passion by helping out in charity events such as the 2017 Hurricane Harvey in Texas, USA and the 2018 Hualien Earthquake in Taiwan. GFCBW’s kind-hearted actions and timely donations in helping these disaster events again showed the important essence of this fine organization. In my 2 years in charge from 2016-2018, there were 12 new associations established worldwide. They were Kuala Lumpur chapter, Johor chapter, and Penang chapter in Malaysia, Kansai chapter in Japan, Phnom Penh chapter in Cambodia, Montreal chapter in Canada, New York chapter, New Jersey chapter, Baltimore chapter, and Atlanta chapter in the USA, Vienna chapter in Austria, plus our very own Keelung chapter in Taiwan. Global Federation of Chinese Business Woman now has 65 chapters that spread across three major oceans and five continents globally! My time as the chairwoman of GFCBW sure flies, as I’m blessed to have travelled and met lots of good sisters around the world. I can’t express my gratitude enough to my management team for their help and support. I also want to thank all former chairwomen for their guidance in which allowed my team and I to have a smooth sailing during my 2-year governing. Our next leader Alice Liu is the chairman and founder of Avalue Technology Co. She’s not only an excellent entrepreneur, but also a great wife and a loving mother. Her and I are both winners of the 2007 GFCBW Hua-Guan Award, and she was also the vice chairwoman for the last 5 years, as well as in charge of the Hua-Guan Award president duty. Alice is a successful businesswoman and an outstanding leader, and I wish all sisters around the world will continue to show their strong support and backing to our 10th chairwoman. Together as one, we will continue to build a solid foundation and help GFCBW to reach its new heights! Lastly, I want to wish all sisters in GFCBW good health and stay happy for what you have done for the world. GFCBW is only great because of you!